Wesley D. Kremer, formerly vice president of the air and missile defense systems portfolio at Raytheon (NYSE: RTN) Missile Systems, has been appointed to succeed Daniel J. Crowley as president of the firm’s integrated defense systems business. The company said Thursday Crowley will focus on the completion of an assignment for the defense contractor before his planned resignation on Dec. 31. Kremer oversaw the development of several platforms under the A&MDS product line, including the Exoatmospheric Kill Vehicle, Standard Missile-3, Advanced Kill Vehicles and Standard Missile-6. 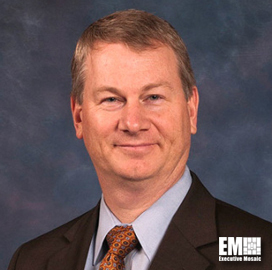 Kremer has been with Raytheon for almost 12 years now and previously served as general manager of the company’s Dallas-based products center, director of performance engineering and systems design, and director of the SM-3 program. The 1989 Air Training Command Navigator of the Year spent more than a decade as a weapons systems officer at the U.S. Air Force. “During his tenure with the company, Wes has demonstrated his ability to grow the business, execute flawlessly and lead high-performing teams, ” said Thomas A. Kennedy, chairman and CEO of Raytheon.